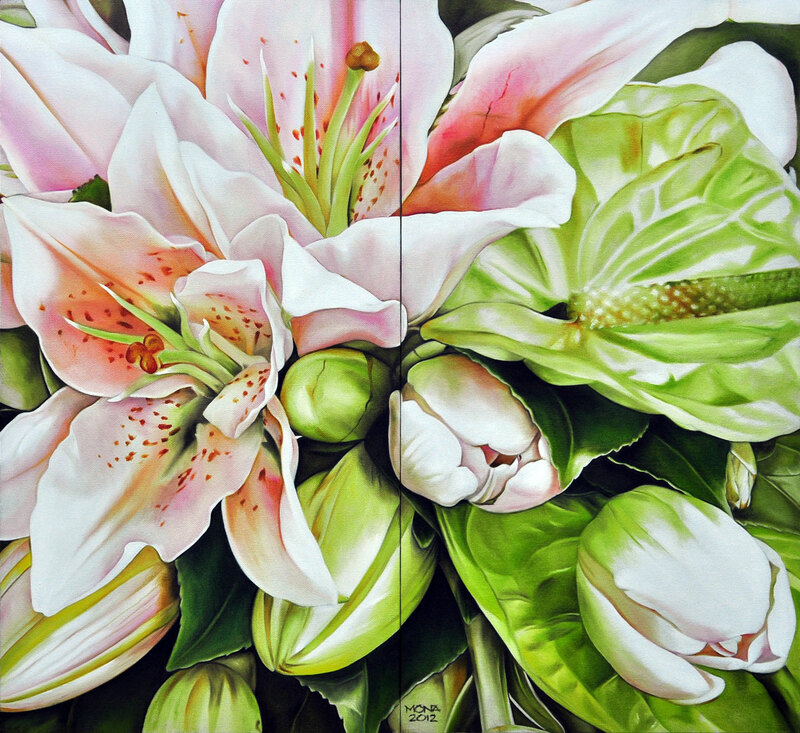 For a long time, artist Mona Santos has concentrated on painting solely flowers, particularly emphasizing the blooms that have become the lifeblood of her creations. Her commitment to making each painting uniquely breathtaking is unquestionable. 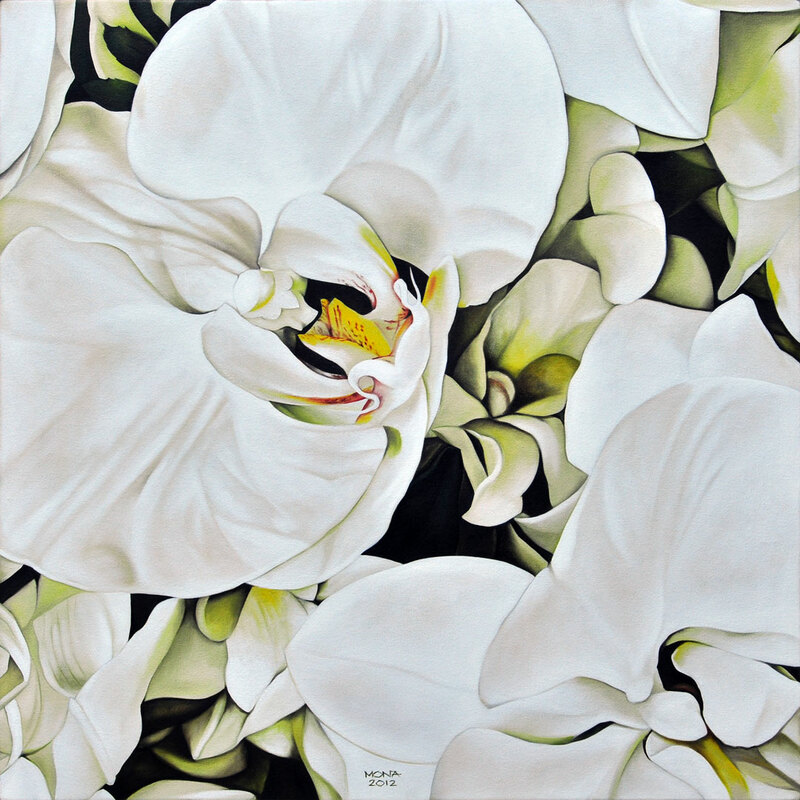 It shows in the way she handles every crease, fold, and shadow of every larger-than-life petal in her compositions. 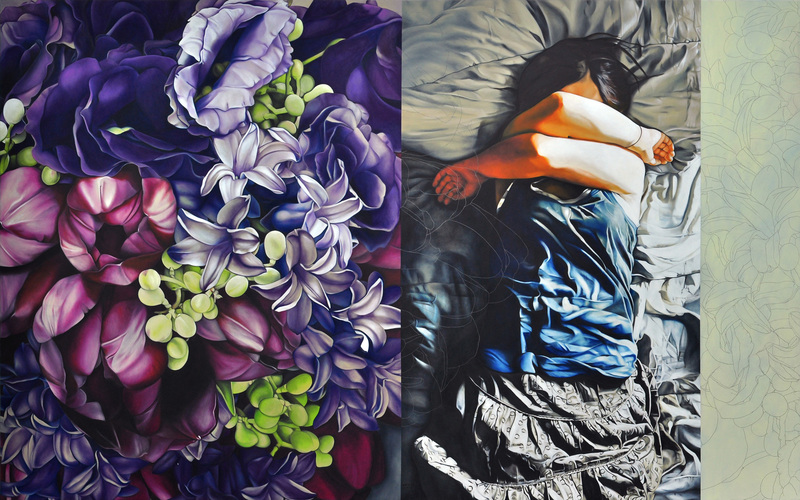 In this year’s Blooms, which is on view at West Gallery’s Gallery 4 through February 13, Mona bravely welcomes a new element in her repertoire – which is to add a human figure side-by-side with her signature blossoms. She has long wanted to introduce change, but carefully took her time until she was ready to take on the challenge. She chose to do it slowly, limiting it to one of the three large works on display, as if testing the waters to see if it is something she is willing to continue to do in the future. Surely, Mona’s flowers remain as easy on the eyes at first glance as they are on the soul upon longer introspection. There is something relaxing and comforting in getting lost in such a virtual, oversized flower garden. The newly added human face, albeit largely covered, gives it another dimension, another mystery for the viewer to unravel it himself.